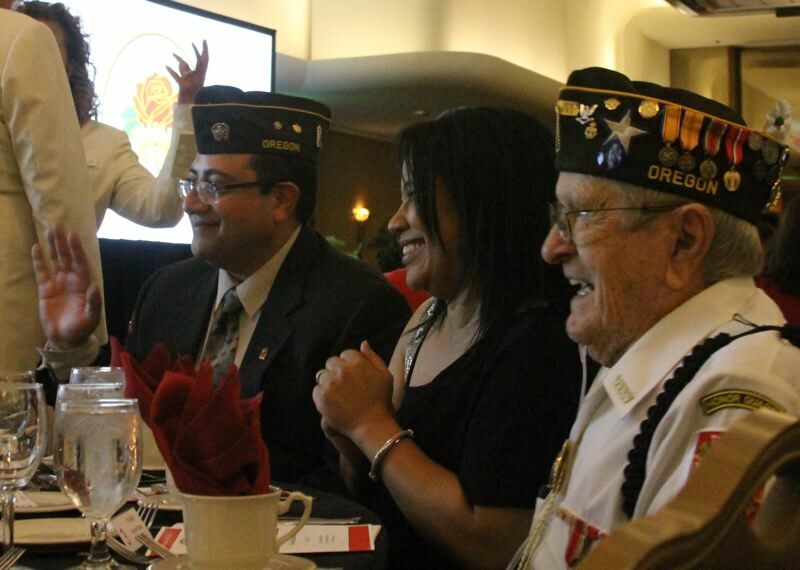 A Hillsboro resident was recognized last week for his volunteer work on behalf of veterans by the Royal Rosarians, the "official greeters and ambassadors" of Portland. Mike Premi was named one of the 2019 Newsmakers of the Year by the Royal Rosarians. Premi was recognized for his work with local veterans. After spending nearly two decades in the U.S. military, Premi has dedicated his life to giving back to veterans in need. The Rosarians presented Premi and other local "newsmakers" at its annual awards ceremony on Wednesday, April 3. Premi was nominated for the award by the Hillsboro Tribune and Forest Grove News-Times. The annual award highlights people in the Portland area who have made contributions to their community. In the past, the award has gone to firefighters who respond to major events, or young children who help their communities by donating to the poor. In 2017, the award was given to Nic Cederberg, an Oregon State Trooper based in North Plains who was shot a dozen times in the line of duty in 2016. Premi — a virtual reality software innovation manager at Intel's Jones Farm campus in Hillsboro — is a member of the Veterans of Foreign Wars of the United States Post 2666 in Hillsboro. He helps veterans find housing and makes monthly trips to area hospitals to visit with veterans and is part of the resource group within Intel for American veterans. He also volunteers with Oregon's Honor Flight, a nonprofit group which brings veterans to visit war memorials in Washington, D.C.
Last spring, Premi was selected out of more than 100,000 Intel employees across the globe for the company's Involved Global Hero Award for his outstanding service to the community, earning him a $10,000 donation to the organization of his choice. At Wednesday's event, Premi was accompanied by Ellsworth "Pa" Bell, who he'd accompanied on an Honor Flight in 2017. Bell, 93, lives in Tanasbourne and is active in the Hillsboro VFW Post 2666. He volunteers with Premi at various events helping fellow veterans and their families.